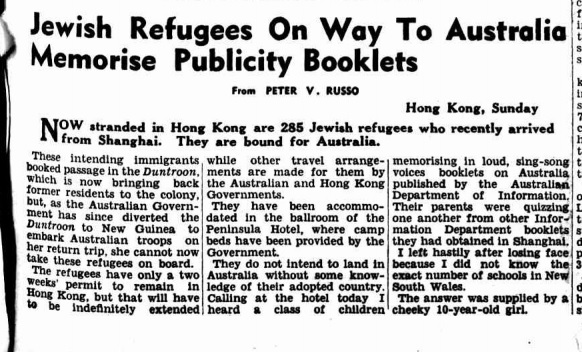 While googling for more material about the six months or so I lived in Hong Kong in 1946 while we were stranded there on our way to Australia from Shanghai where we’d lived during most of World Was II (I published a few photos I had from then in a previous post) I found a photograph that truly surprised me. Until I saw it, I’d been under the impression that during this period I gave very little thought to “Jewish” things. 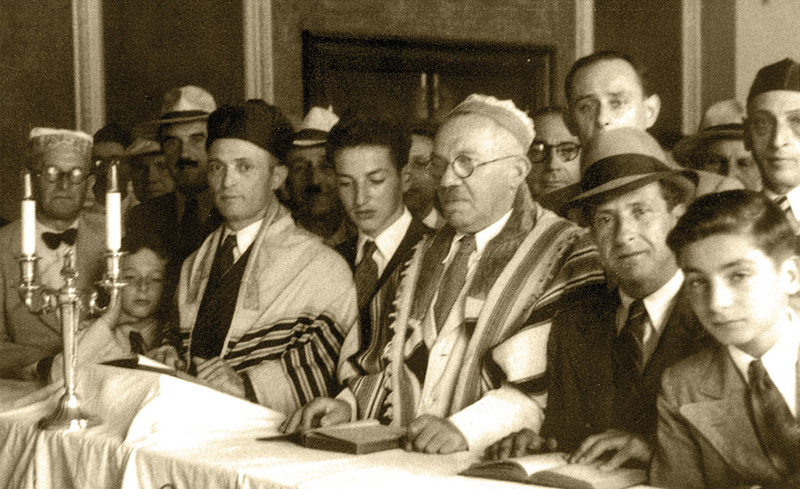 But there it was, a photo of Jewish worshipers in the hotel room that had been set aside as a synagogue, all of them grown men, except for one little boy at the far left, and that little boy was undoubtedly me! In the course of that googling I also found another photo in which I appeared, with a some other boys (& one girl in the background) more-or-less my age from that same group of refugees, in the courtyard in front of the Peninsula Hotel. That’s me at the extreme right. 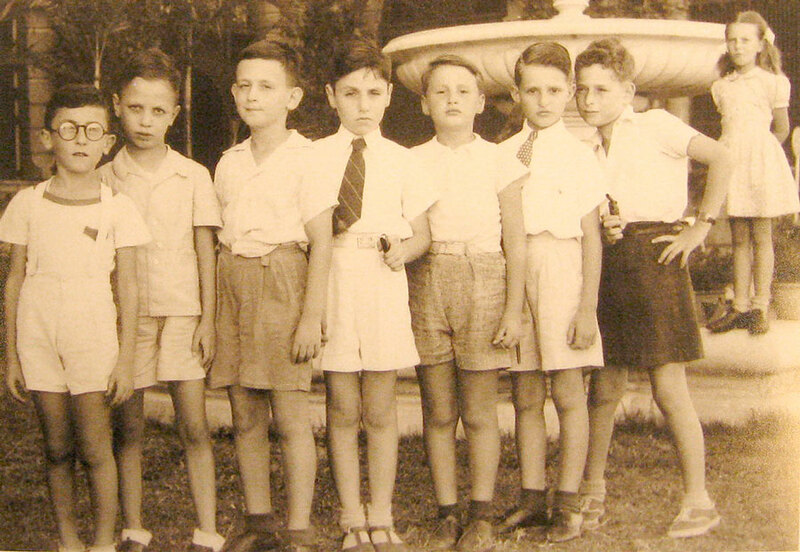 The boy next to me & the one in the center wearing a tie, were my friends Peter Pulvermacher & Eric Kisch . 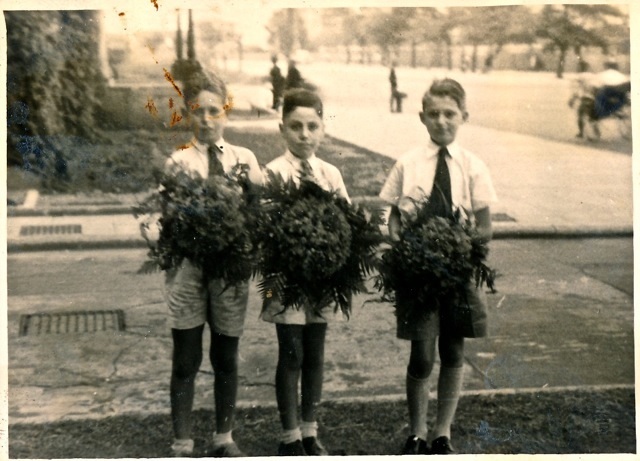 Below is a photo of me & them holding bouquets for our mothers one day (did they already have Mothers Day then?). 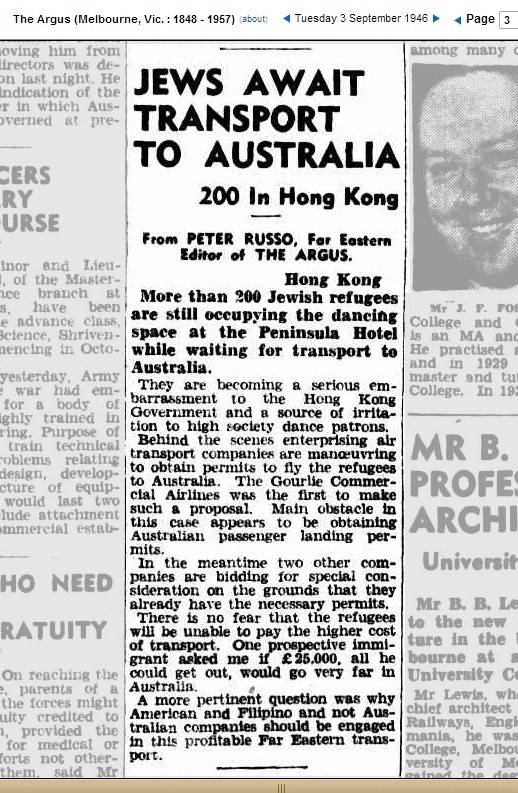 Here, anyway, is the banner that appeared on the front page of The Argus, a newspaper I remember well: it was still operating when I arrived in Melbourne in late 1946, & continued to come out every morning (except Sundays) until it closed in 1957, about two years before I left Melbourne on my way to become a member of a kibbutz in Israel.